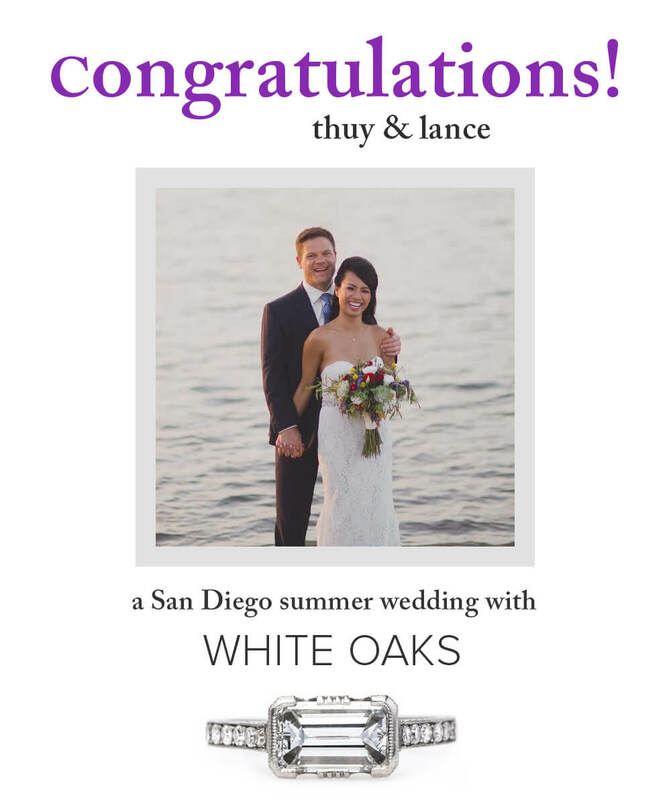 Congratulations to our latest MARRIED Trumpet & Horn Couple, Thuy & Lance! 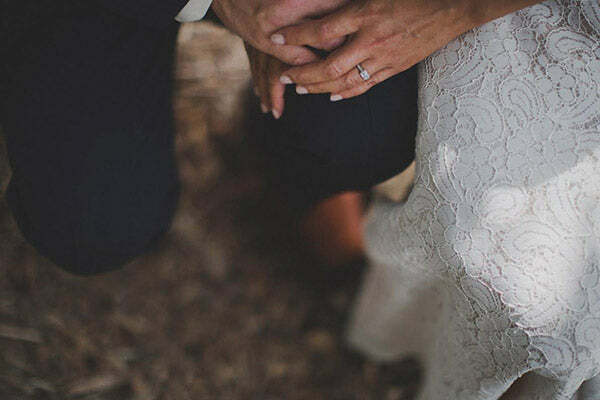 These newlyweds were engaged last year with our east/west set vintage-inspired White Oaks engagement ring. They were married in late August at the Garty Pavilion at the San Diego Rowing Club. Their intimate celebration included 80 of their closet friends and family members and was, as Thuy put it, "truly the best day ever!" ♥ Congratulations!